ANY SHAPE. ANY COLOR. ANY DIAMOND. MID House of Diamonds is one of the world`s largest and most respected manufacturers and distributors of polished diamonds and loose diamonds. We have been selling to leading retailers around the world for the past 50 years and even though we are among the top ten diamond manufacturers in the world in size, we still run our family business according to our founding principles of mutual respect, quality and dedicated service. Our vast size and resources enable us to provide the largest retailers with inventory that meets their needs. Our dedication to quality assures that every loose diamond that we deliver has the full weight of our reputation and integrity standing behind it. MID is one of the world`s largest and most respected manufacturers and distributors of polished diamonds. We have been selling to leading retailers around the world for the past 50 years and even though we are among the top ten diamond manufacturers in the world in size, we still run our family business according to our founding principles of mutual respect, quality, and dedicated service. Our vast size and resources enable us to provide the largest retailers with inventory that meets their needs. Registering at middiamonds enables you access to view our innovative loose diamond search engine. Once registered you will find pricing, certificates, professional photography, V360 imaging and exclusive web specials. In addition, your username and password will give you full access MID’s mobile apps. This practical solution delivers the flexibility of doing business on your schedule whether you are in the office or on the road. MID House of Diamonds’ vast inventory and innovative solutions delivers the diamond you want when you need it day or night. We offer an API with listing services for our inventory. You can now upload over 7,000 certified stone to your personal website at a click of a button. MID offers a wide variety of certified loose diamond Listing Services. MID’s robust in-house API offers V360 Imagery, diamond photography, and certificate images. Our advanced technology allows us to update and maintain the inventory every 15 min. You will never have dated information. You can easily download over 7000 Certified Loose Diamonds in your virtual inventory or database at a click of a button! The Quality of the Diamond is evaluated according to the four main characteristics (the 4Cs): Carat, Cut, Color and Clarity. 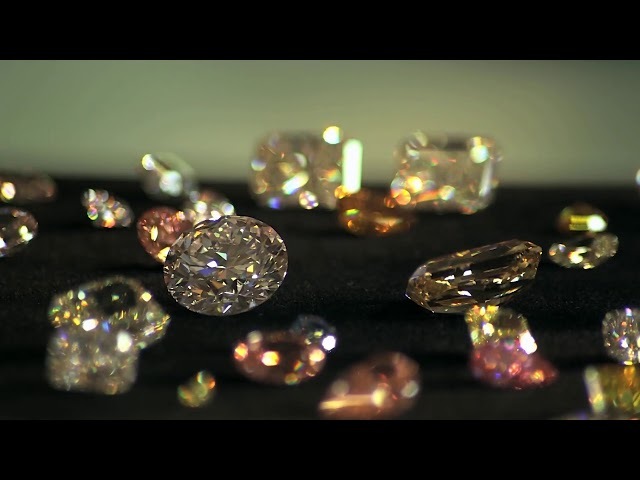 The loose diamonds industry relies on these characteristics in order to compare and grade diamonds worldwide. The 4C system was developed by the GIA (Gemological Institute of America) back in the 1940s and 1950s, and is now considered an industry standard. The Quality of a Diamond is evaluated according to the four main characteristics (the 4Cs): Carat, Cut, Color and Clarity. All of our loose diamonds are GIA , HRD and EGL certified. Our vast size and resources enable us to provide the largest retailers with inventory that meets their needs. All of our wholesale loose diamonds and fancy colored diamonds carry the full weight of our reputation and integrity standing behind it. Through our international network of factories and offices, we maintain close relationships with our clients offering wholesale diamonds in every shape, size and color. MID only purchases loose diamonds that are “conflict-free” and makes every effort to bar conflict diamonds – diamonds mined in a war zone and sold to finance violence – from its inventory. Our customers can rest assured that when they purchase an MID diamond, it was mined and procured from legitimate sources. All MID diamonds have a KP (Kimberley Process) certificate, which means that they have been purchased from ethical sources not involved in funding conflict. In other words, all MID diamonds are certified as conflict-free. The MID family is pleased to announce that as of August 2017 MID House of Diamonds has been certified by the Responsible Jewellery Council as being compliant with the RJC 2013 Code of Practice (cop). The MID House of Diamonds Mobile App is the essential interactive experience for Loose Diamonds and Wholesale Diamonds. Searching for Loose Diamond shouldn’t be a hassle, therefore, we work very hard to simplify the Searching process and ultimately help our clients to find their Desired Diamond. Get Your ‘Last – Stop – Shop’ Diamond-App Now!